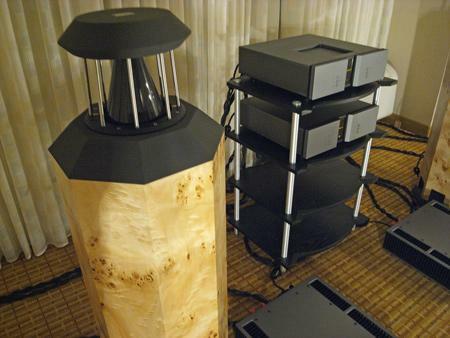 As the sixth annual Rocky Mountain Audio Fest draws to a close at the Denver Marriott Tech Center, what is now the largest annual audio show in the USA could boast an attendance of 3700, 200 more than last year. 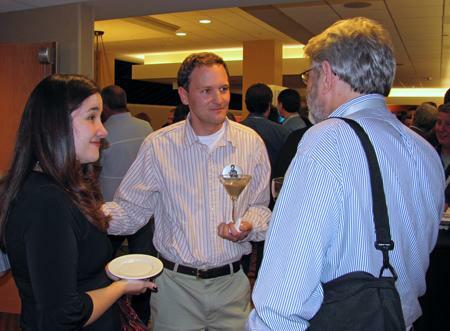 Prominent among attendees from 49 states and overseas was a notable increase in the number of under-40 attendees. No doubt they were drawn by the rise of audiophile computer-audio playback, the resurgence of vinyl, and the large exhibit hall populated by the Head-Fi headphone community. The younger attendees included an influx of students, who responded to RMAF’s concentrated outreach to local colleges. The sixth annual Rocky Mountain Audio Fest had already closed when I finally had the time to stop by Reference Recordings’ booth to check out their latest mouth-watering HRx high-resolution master WAV file DVD-Rs. 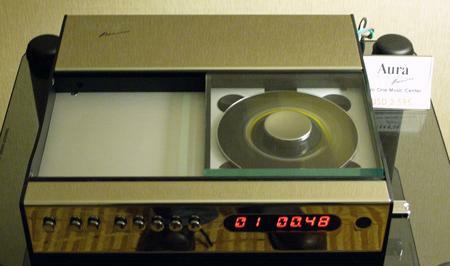 There I encountered Demian Martin, who, together with Ray Burnham, has produced the Auraliti (pronounced Aurality) disc player ($800). 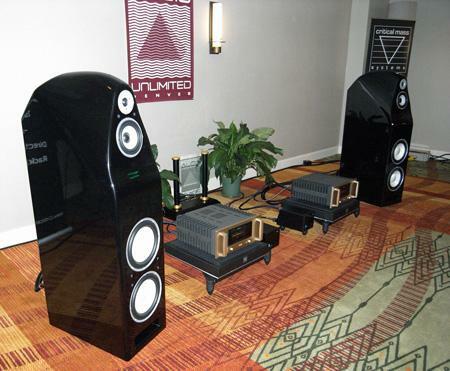 One of my best sounds at RMAF was the room organized by Colorado dealer Audio Unlimited featuring the Emperor speakers from Canadian manufacturer Hansen Audio that had so impressed Jason Serinus at the 2008 RMAF. The three-way speakers were driven by Accuphase monoblocks sitting on Critical Mass Systems platforms, with the front end based on a Trans-Rotor turntable. I was drawn into the room by the full-range sound of Pink Floyd's "Another Brick in the Wall" and didn't leave for quite a while. 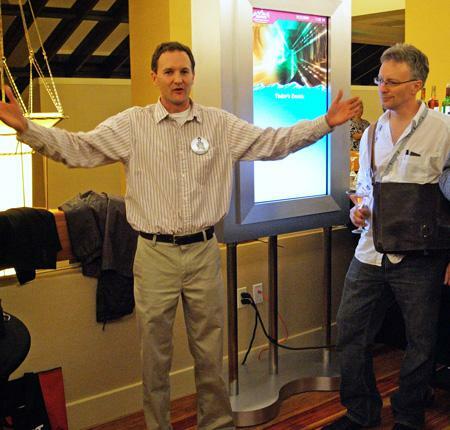 Wes Phillips said it best in his CES 2009 coverage of the Emperor: "the music had me melting in my chair." There was full program of seminars and workshops at RMAF, as well as my own "Squeezing the Music Till the Bits Squeak," the session featuring Harry Pearson, and Michael Fremer on "Turntable Setup," I moderated a panel session, "How to Get the Most Out of Computer-Based Audio," on Saturday afternoon. 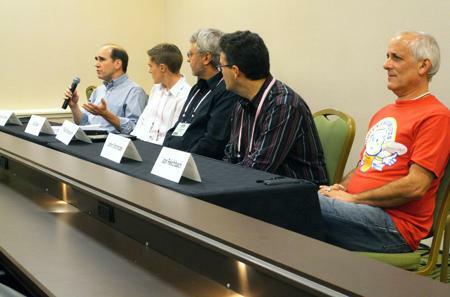 The A-List panel(from left to right) Gus Skinas (SACD Center), John Stronczer (Bel Canto Design), J. Gordon Rankin (Wavelength Audio), Charlie Hansen (Ayre Acoustics), record producer Joe Harley, and Chris Connaker (www.computeraudiophile.com)discussed the best way to use a computer as a legimate source component in a high-end audio system. All concerned felt this was the way forward for the high-end audio industry, particularly with the increasing availability of hi-rez downloads, and it was a shame that the session was limited to an hour. 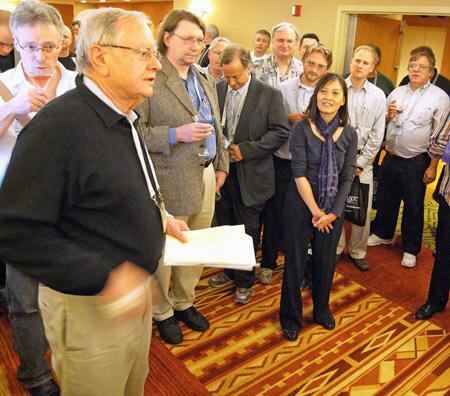 On Saturday evening, at show's close, Bea and Luke Manley of VTL, with the support of Nordost, hosted a Martini tribute to the recently departed founder of Stereophile, the inimitable J. Gordon Holt. 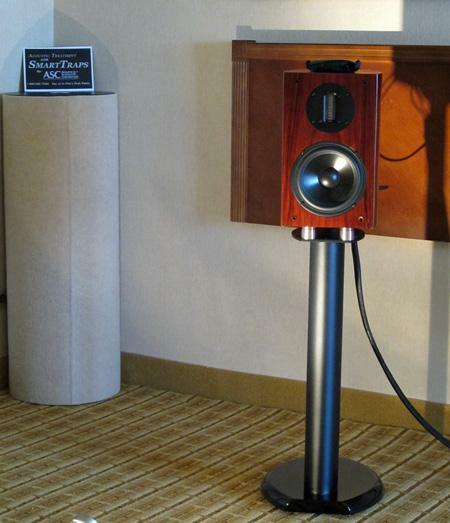 Located outside Nordost's Humboldt Peak room on the Denver Marriott Tech Center's mezzanine, the tribute drew a huge crowd of industry icons. Bob O'Neill sold advertising for Stereophile in the early 1980s and also contributed record reviews to the magazine. 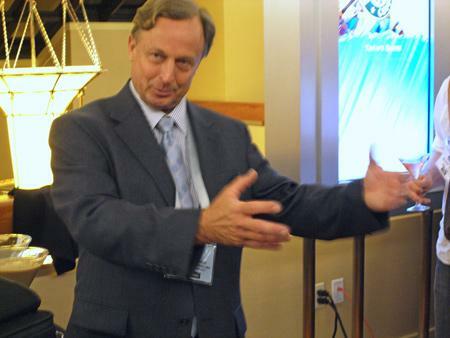 He became a firm friend of J. Gordon Holt's and gave a moving eulogy honoring Gordon's memory at RMAF. When I last met Charles Holt in 1991, he was a teenager. But I had no problem recognizing him at RMAFhe looks just like his Dad. And, as you can see in Jason Serinus' photograph, in which Charles is flanked by his girlfriend Melissa and me, Charles is wearing the infamous "finger button," which was Gordon's favorite image of himself. Tube amp designer Roger Modjeski (Music Reference) toasts Gordon Holt with a Martini. 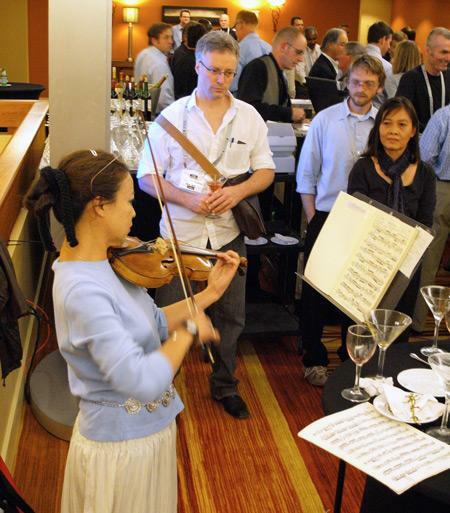 Bea Lam's Martini party in honor of J. Gordon Holtthat's Bea at the right of the photo concluded with a solo violin recital to remind partygoers what high-end audio is all about. Restocking the magazines on the Stereophile booth, I saw a familiar face on the booth next door. 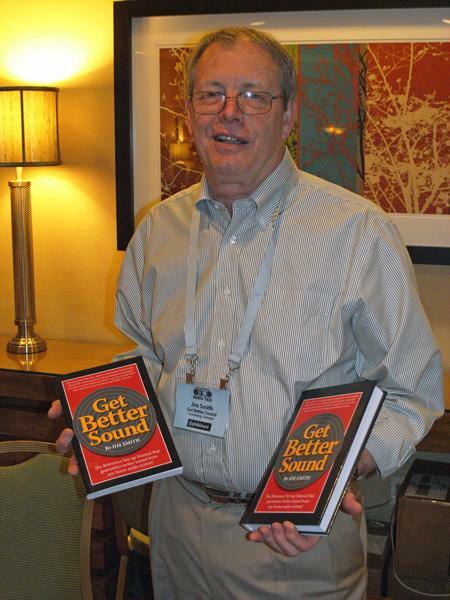 Audio industry veteran Jim Smith was selling (and autographing) copies of his book Get Better Sound, which is, as the name suggests, about how to get better sound from your system. 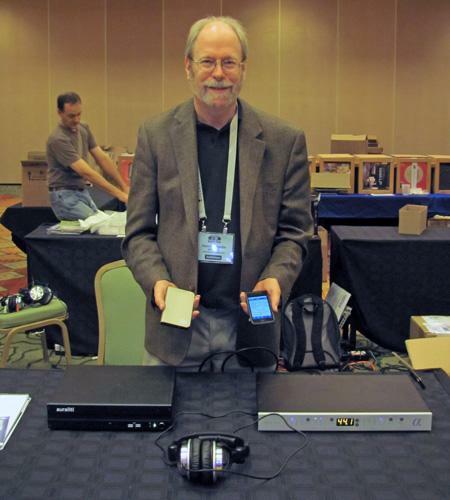 Since the demise of of its own Show, Stereophile has been supporting North American audio Shows, which was why you can find us at RMAF in Denver and SSI in Montreal. 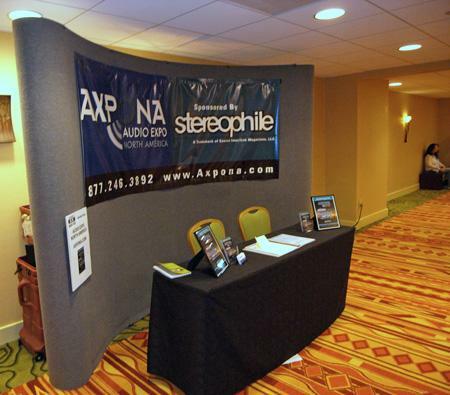 Next March, we are partnering with the Axpona Show in Florida, which had a booth at RMAF. The booth was manned, er, personed by two beautiful girls but, of course, when I went back with my camera, they had left for the day. As expected, Bel Canto Design's complement of components fully lived up to their reputation for affordable excellence. The top-of-the-line e.One CD2 CD transport/player ($2995), prototype DAC 3.5 (price not yet set), two REF500M Balanced mono amplifiers ($1995/each), REF VBS1 Virtual Battery Supply, which can power up to three front-end products ($1495), USB Link 24/96 USB to /SPDIF link ($495), and new USB Lightlink High Speed Optical ST glass-fiber link (price not supplied) were fed by an Airport Express-equipped computer server. 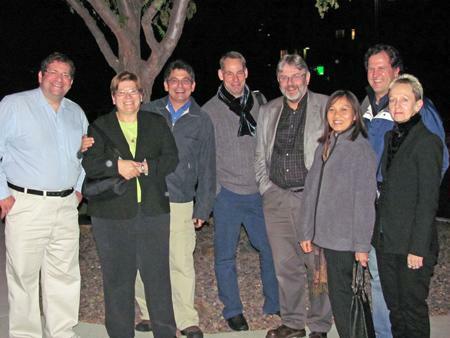 As Bel Canto President Michael McCormick explained, "The DAC 3.5's excellent jitter rejection is at the center of the system." A Running Springs Power Conditioner completed the chain… except for one major component, the speakers. 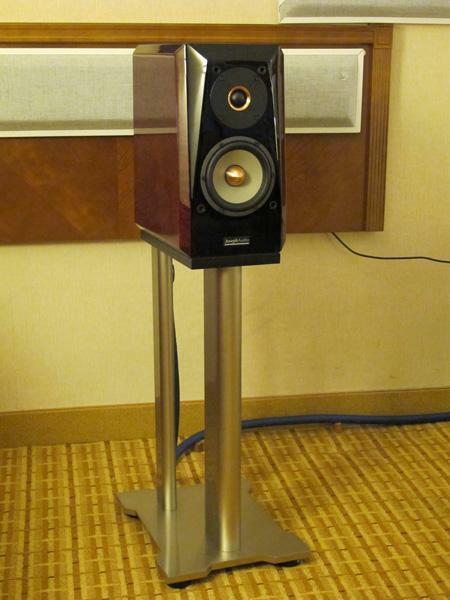 Listening to a Toni Braxton cut on the LSA1 Statement speakers ($2599/pair), driven by an Exemplar-modded Denon 2910 DVD player and LSA's hybrid integrated amplifier (reviewed by Stereophile when it was called the DK Designs VS.1 Reference Mk.III), I was struck by how much low-frequency information was coming from this nicely finished two-way stand-mount.